So, the latest news to hit #BachelorNation (other than casting call outs for the next Bachelorette), is that Nick Viall - once-hated, but ALWAYS loved by me - is dating January Jones. Seriously, it started yesterday on Page Six, but it’s been covered everywhere, everyone is obsessing over this totally made up pair. Alllll because these two have been pseudo flirting on Instagram. Ah, 2018. The speculation has since been shut down, with sources reaching out to People to say that the news is fake AF, but it certainly makes us think about the persuasive power of social media. How celebs liking each other’s posts automatically means they have some sort of relationship happening BTS. 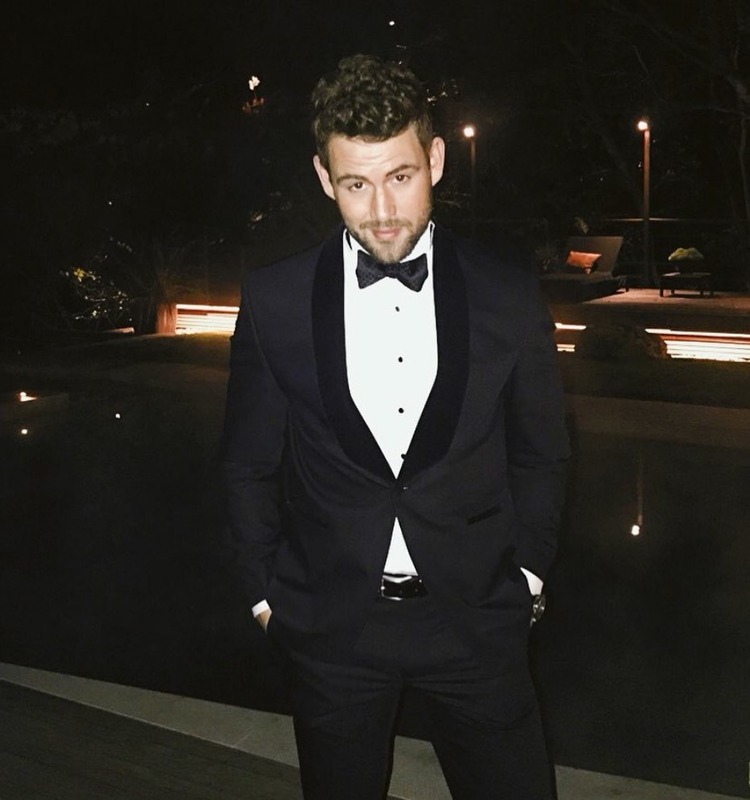 January literally just commented on Nick’s Insta post (of him in a tux) earlier this month - with 2 emojis - a smiley rolling its eyes and a heart - and the social media sphere was shook. It’s just a lot of reading between the lines. 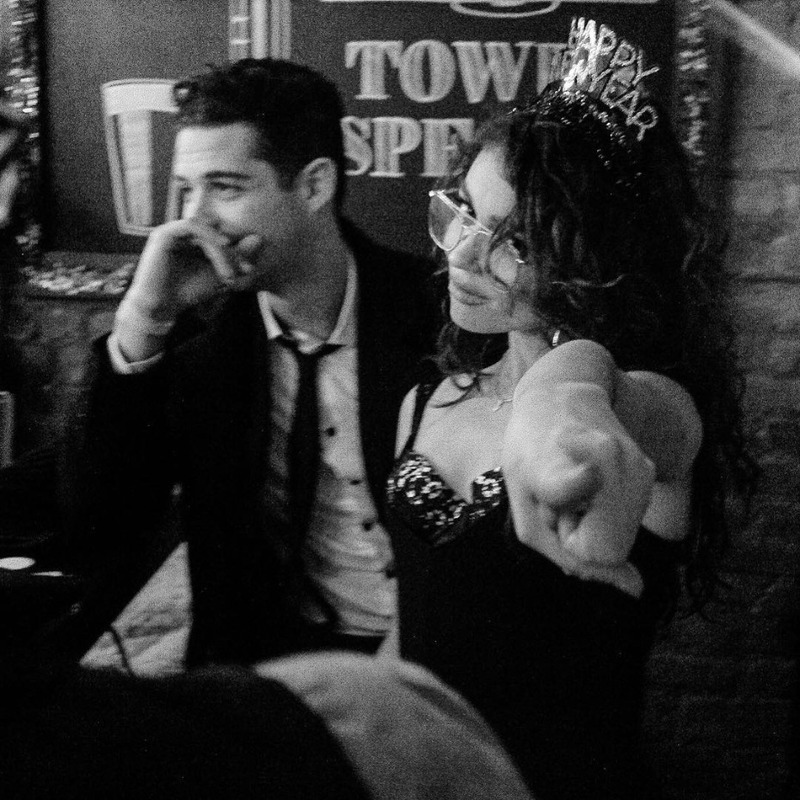 January appeared on The Late, Late Show with James Corden last March, sharing that she’s always been a diehard Bachelor fan and alluding to Nick being cute - after saying that he may or may not be a scumbag and that she completely bailed on his request for her to battle it out on Lip Sync Battle. Then the two started sending each other vibes on Insta, ❤️-ing each other’s posts, commenting, you know, all the things that younger millennials are classic for doing. And a relationship was born. Make sure you’re keeping your relationship safe from social media. Remember all the chill couples we caught snacking together at their wedding? 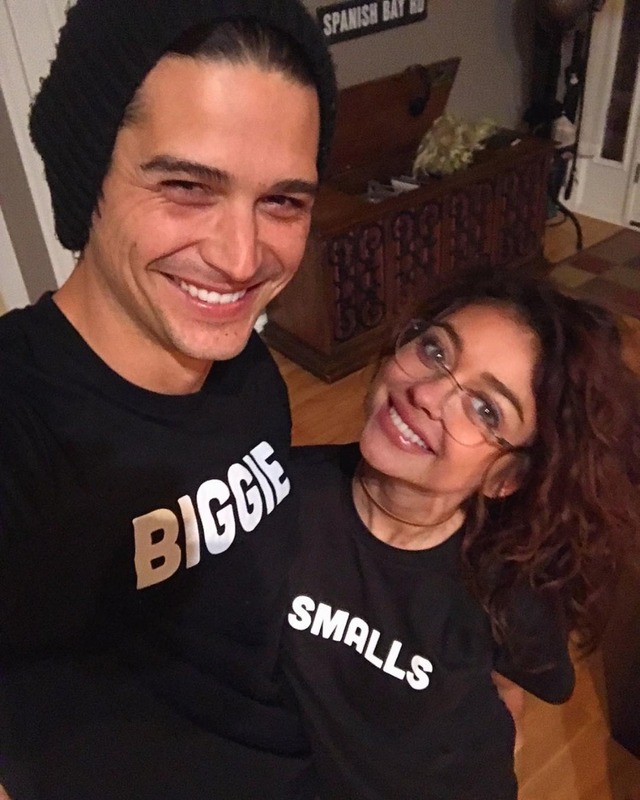 Yes, Sarah Hyland and Wells Adams are starting to rival Chrissy Teigen<>John Legend and Emily Blunt<>John Krasinski status when it comes to their #couplegoals. And we believe that they’re SO in love 1000000 percent. Now, we won’t get ahead of ourselves and start eavesdropping a (future) engagement, but we’ll tell you everything we know about what makes a relationship real, just by looking at their Insta pages. True test of a real relationship: whether or not you can eat Taco Bell together. Sarah and Wells obvi can, and they do it after huge events like the Golden Globes. So, yes, they can slay together when they need to, but they also know how to let go. Sooo many of the pics this pair shares on Insta are mutual. They evidently love showing up on each other’s feeds. We can almost envision them texting each other to say ‘hey, i’m posting that pic of us kissing under the lamp post’ -- ‘really, me too?! !’ -- ‘best caption wins’ -- ‘it’s on!’ They epitomize #relationshipgoals. One ‘biggie-smalls’ couple reference at a time.